VelaShape Reviews: Can It Reduce Cellulite from Arms, Abdomen & Thighs? VelaShape is a non-surgical body contouring treatment that can help reduce cellulite from the neck, arms, flanks, buttocks, abdomen, and thighs, according to experts. VelaShape Review: Can It Reduce Cellulite from Arms, Flanks, Abdomen, and Thighs? 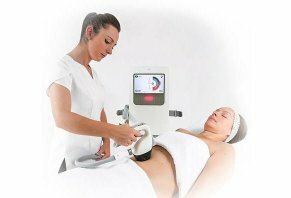 VelaShape is described as a non-invasive body contouring treatment for circumferential and cellulite reduction that can be used on various areas of the body, including the neck, arms, flanks, buttocks, abdomen, and thighs. While VelaShape is not considered a weight loss treatment, it can reduce the trouble spots that diet and exercise cannot reach by using a combination of technologies to contour the body. Our review takes a look at VelaShape, including what it is and how it works, as well as the number of treatments needed to see results, potential side effects, and costs. We’ve gathered information from a board-certified dermatologist, a board-certified plastic surgeon and other sources to provide you with as many details as possible so you can decide if VelaShape is right for you. Keep in mind that this article is not intended as medical advice. Before you undergo a VelaShape treatment, it’s important to talk with your medical provider first. VelaShape is a cellulite and body contouring treatment that utilizes vacuum, massage, infrared light, and radiofrequency to both increase collagen production and decrease fat layer thickness, said Dr. Ted Lain, a board-certified dermatologist and Chief Medical Officer at Sanova Dermatology in Austin, Texas. In full disclosure, Dr. Lain doesn’t have personal experience with the VelaShape device in his practice. Rather, his knowledge is based on his own research. Dr. Yuly Gorodisky, who is board-certified by the American Osteopathic Board of Surgery, describes VelaShape as a device that uses external energy and mechanical massage to improve skin tightness, cellulite, and reduce the size of the areas treated. “The radio frequency energy helps to stimulate collagen contraction and fat reduction, infrared energy helps with skin tightening and improvement in circulation, lymphatic massage helps with smoothing the irregularities and decreases swelling,” explained Dr. Gorodisky, owner of the West Coast Plastic Surgery Center in Southern California. According to the VelaShape website, the VelaShape III system is FDA-cleared for a temporary reduction in the appearance of cellulite, and temporary reduction of a thigh and abdominal circumferences. VelaShape provides dramatic results without downtime or significant discomfort, its website noted, and most patients see gradual and cumulative results throughout the treatment regime. Through its bimodal effects on the dermis – the second layer of the skin – and the fat layer, VelaShape helps attenuate the appearance of cellulite, commonly referred to as dimpling of the skin surface, Dr. Lain noted. “In addition to smoothing the appearance of the skin, VelaShape reduces the fat layer thickness, meaning that this technology helps take off inches as well,” Dr. Lain said. What Is VelaShape Used For? In Dr. Gorodisky’s practice, VelaShape is used for the treatment of skin laxity to improve the loose skin of the abdomen, thighs, arms, and buttocks. “It also helps with cellulite dimples and reduces the circumference of the thighs, abdomen, and arms,” said Dr. Gorodisky. Patients can expect the gradual smoothing of the skin’s surface with a noticeable reduction in cellulite, according to the VelaShape website. Patients can also expect a circumferential reduction, with noticeable reshaping of the treatment area. Yes, VelaShape is very effective for the right patient, according to Dr. Gorodisky. “I have seen great results in some patients who are good candidates and not so great results in patients who have too much skin laxity or are too overweight or have too much cellulite,” Dr. Gorodisky said. In Dr. Lain’s opinion, the combination of technologies gives the VelaShape a good chance of achieving results. As mentioned earlier in this article, VelaShape’s technology is based on a combination of bipolar radiofrequency (RF) and optical energies delivered to the dermis/hypodermis zones. This study investigated the efficacy and safety of a new high-power version of this combined technology, in terms of adipose tissue reduction and skin tightening. Thirty-five patients received one treatment per week over 6 weeks to their abdomen/flank, buttock, or thigh areas, and were followed up to 3 months post completion of the treatment protocol. Additionally, the thickness of the fat layer showed on average a 29% reduction between baseline and the 1-month follow up; and 93% of study participants demonstrated a 1–60 % change in fat layer thickness. Patients subjectively described comfort and satisfaction from treatment, and 97% of them were satisfied with the results at the follow-up visit. What Are the Potential Side Effects of VelaShape? The device uses heat to treat the patient, so the main risk is of a skin burn, Dr. Gorodisky warned. For those undergoing a VelaShape treatment, it’s important to avoid sun exposure to the area treated, Dr. Gorodisky further advised. Additionally, “a patient’s skin should not be too dark or infrared energy may need to be decreased or turned off,” Dr. Gorodisky said. In Dr. Gorodisky’s practice, the treatments range from $150 to $275 per session. “Since at least five treatments are necessary for best results in our practice we package the treatments for a more cost-effective option,” Dr. Gorodisky said. “Most patients notice results after their second treatment, but five or more treatments are necessary for best results. According to Dr. Lain, the recommended course is three treatments, although results may be evident after the first treatment. “Many will elect to receive more treatments to enhance the benefit,” Dr. Lain said. According to Dr. Gorodisky’s blog post on VelaShape, the ideal type of person for this procedure is a patient who has a Body Mass Index (BMI) of 29 or less; and those within The Nurnberger-Muller Cellulite Classification of Stage I or Stage II. For example, with Stage I, there is No dimpling when the patient stands or lies down, but a pinch test shows the “orange peel” appearance of cellulite, Dr. Gorodisky explained. With Stage II, there is “orange peel” dimpling when the person stands up, but not when they lay down. “Cellulite that is more severe than this is best treated with another device called Cellfina,” Dr. Gorodisky added about this minimally invasive procedure that he also performs. The Bottom Line: Is VelaShape Right for You? With VelaShape, you can safely achieve a toned and contoured body in as little as 4 treatment sessions – with results that leave your skin will looking and feeling more youthful and tighter than it has in years, Dr. Gorodisky wrote in a blog he posted on VelaShape. A patient needs to be evaluated before undergoing a VelaShape treatment to determine if they will benefit from it – or if other more aggressive options may need to be considered, Dr. Gorodisky further advised. This procedure is not technically for weight loss, Dr. Gorodisky added. “Instead, VelaShape contours the body and reduces the problem areas that are resistant to diet and exercise, many of which are genetic,” he said. Write a Review for VelaShape!